Articles by "Rumor Has It"
It seems that Romania's Diana Bulimar has left the sport for good, so they say. 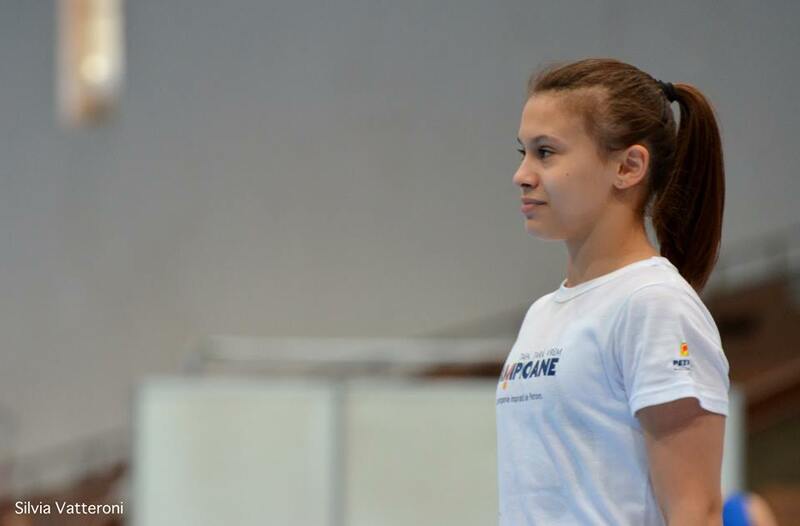 A Tumblr user wrote that they have asked Lăcrămioara Moldovan, Bulimar's coach, about the status of the gymnast and she said that she along with Paula Tudoarache have retired from gymnastics. If true, the news comes as no surprise. The 22 year old athlete has been out of competition for more than a year. Her last competition was the Olympic test event where Romania failed to qualify to Rio. She has suffered from multiple injuries during her career. She missed 2013 and 2014 World championships, and 2016 European championship due leg injuries. The Romanian athlete turned senior in 2011. Her highest achievements were winning an Olympic bronze medal with the team in 2012 and four medals at European championships. Paula Tudoarache, who turned senior in 2014, is best known for being part of the 2014 Romanian World team. 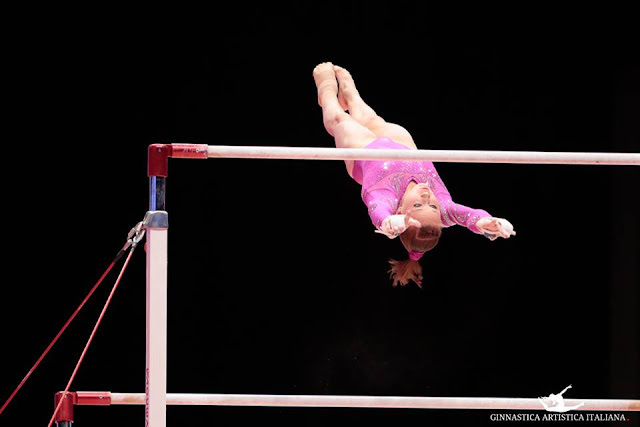 Did Madison Kocian Retire From Elite Gymnastics? 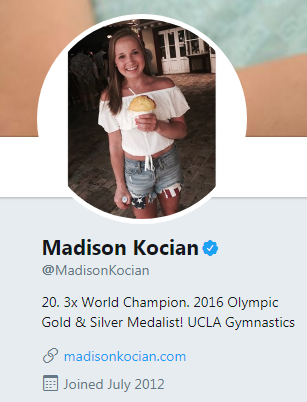 Ever since US Olympic champion Madison Kocian edited her Twitter bio, speculations have been made regarding whether she is retiring from elite gymnastics or not. Kocian has recently updated her social media's bio and removed "elite gymnast" from it. Her Twitter bio now reads "20. 3x World Champion. 2016 Olympic Gold & Silver Medalist! UCLA Gymnastics". Last month, the 20 year old gymnast told NBC that she hasn't closed the door on her elite gymnastics career. She said that she will either stop in college and return to elite or finish her four college years and continue her life. 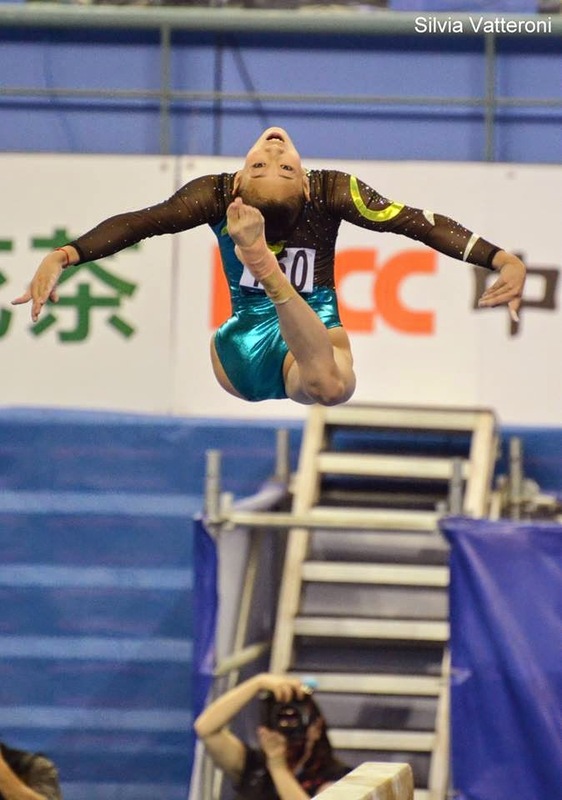 Kocian has suffered from multiple ankle injuries throughout her senior career which started in 2013. She was part of the 2014 and 2015 World gold winning teams. She was part of a historic four-way tie for the 2015 World gold medal on uneven bars with Russians Viktoria Komova and Daria Spiridonova, and China's Fan Yilin. Her last elite competition was the Rio Olympic Games where she won gold with the team and silver on uneven bars. She made her collegiate debut last January where she and 2012 Olympic gold medalist Kyla Ross made history by becoming the first Olympic gold medalists to compete as NCAA gymnasts. Rumor Has It: Is Romanian Gymnastics Suffering From Crisis? According to an article published on Romanian website ilfovsport.ro, things aren't going well with Romanian national team. Denisa Stanciu, Alexia Borăscu, Ioana Oprea, Coleen Tătaru and Ariadna Stanciu have recently left the training center. Denisa Florea has moved to Spain and is trying to obtain the Spanish citizenship while according to adevarul.ro, Ariadna Stanciu and Coleen Tătaru are planning to leave the country. 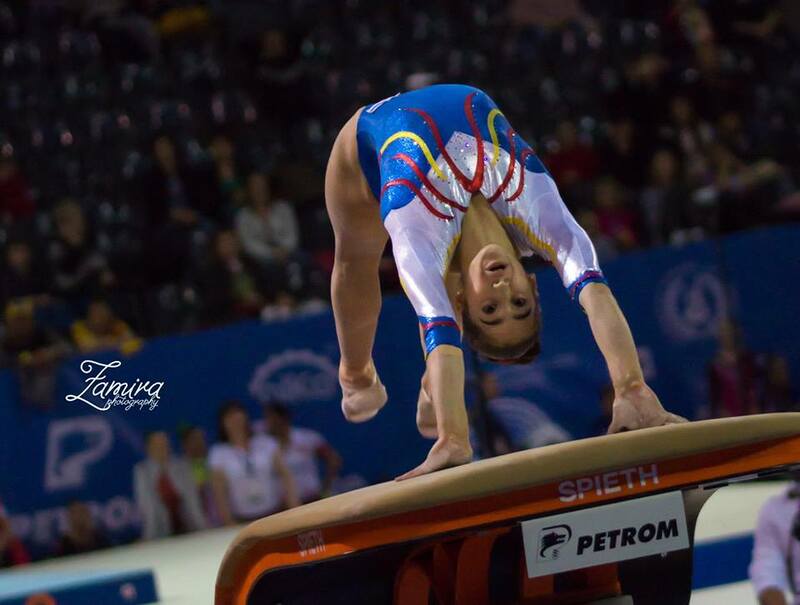 Two weeks ago, news broke out that Olivia Cimpian has left Romania to compete for Hungary. Denisa Stanciu's father has expressed his anger towards head coach Nicolae Forminte accusing him of psychologically terrorizing his daughter. He also warned him that more gymnasts will leave the sport. 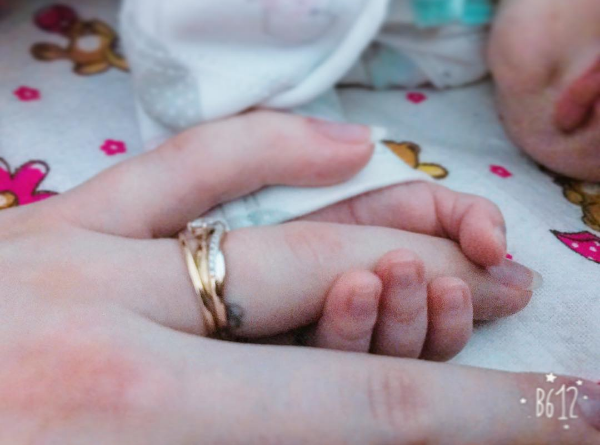 Last month, Russian head coach Valentina Rodionenko revealed the name of Olympic gymnast Aliya Mustafina's newborn daughter which was Alisa, but rumors have been circulating that the head coach got her name wrong. On an Instagram post about Mustafina published by sport express, a comment was made regarding the gymnast's daughter that says her name is Olesya not Alisa. It is said that the commenter worked at the country's Olympic day which was held on 23rd June and which Mustafina attended. According to her Instagram, the commenter is a Russian chess champion. Aliya's fans found themselves inclined to believe the commenter, with many pointing out that Olesya sounds more Russian and a lot less like the gymnast's name. Some also pointed out that Aliya's cat's name is Lisa which would make it strange for her to choose a name for her daughter that sounds close to her cat's. The two time Olympic champion hasn't yet announced her daughter's name to the press. Recently, Mustafina said that she has no plans of coming back this season. Updates: According to Liubov Baladzhaeva, editor of gymnovosti.com, Mustafina's husband has called his daughter name Alisa not Olesya in an Instagram video which has been deleted. She stated that both Alisa and Olesya are Russian names and sound similar, and that she is more inclined to believe that the daughter's name is Alisa since it has been popular recently. 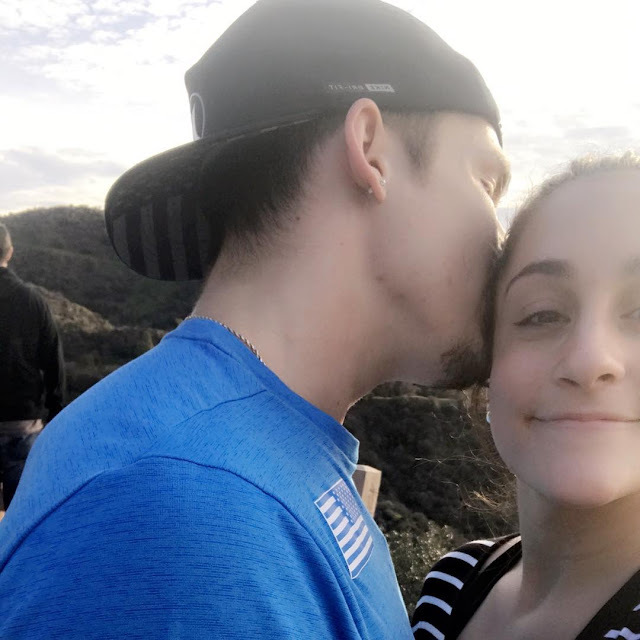 Are U.S. Jordyn Wieber and Chris Brooks in a Relationship? Are Jordyn Wieber and Chris Brooks in a relationship? The Gymternet has been in a frenzy since last week, when U.S. Olympian Chris Brooks posted the above picture on Instagram, with the hashtag #unsalted. Brooks features in the photo kissing on the head 2012 Olympic champion Jordyn Wieber. Is this the beginning of a new gym-romance? The two gymnasts have not confirmed it yet. Jordyn Wieber, 21, is the 2011 all around world champion and a 2012 Olympic champion with the team. She retired from gymnastics after London 2012 and is now a student and a coach at UCLA. Last Saturday, she was in Salt Lake City, Utah, as assistant coach on floor for the UCLA Bruins. Chris Brooks, 30, was the captain of the U.S. men’s gymnastics team in Rio 2016. He was also an alternate at the London 2012 Olympics. Additionally, Brooks is a former NCAA gymnast. He was a member of the Oklahoma team from 2005 to 2009, and won the national title with his team in 2008. If the rumours are true, Jordyn Wieber would be the second member of the Fierce Five to have got into a relationship in these last month. Fellow Olympic champion Aly Raisman also started dating her boyfriend, Colton Underwood, last autumn, after her second Olympic success in Rio 2016. According to a TV program,Viktoria Komova won't be part of the Russian team which will compete at the upcoming European championships. Rodionenko said that the 21 year old gymnast informed her that she was admitted to the hospital once again for check up thus won't be able to participate at the European championships. She added that the gymnast's chances of making the Olympics will depend on her health. Last month, Komova withdrew from the Russian championships due to back pain. It is worth mentioning that her last European championships was four years ago. However, Komova's withdrawal hasn't been made official. The Tv presenter stated that the Olympic team will be announced after the European championships. Ksenia Afanasiyeva, Aliya Mustafina, Daria Spiridonova, Maria Paseka and Angelina Melinkova will most likely be chosen. 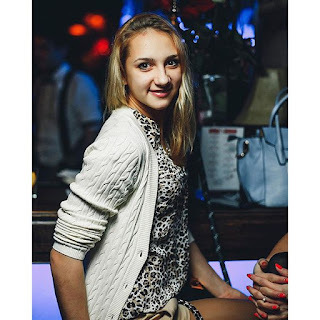 Rodionenko is having high expectations for new senior Melinkova whom she believes will become a sensation. 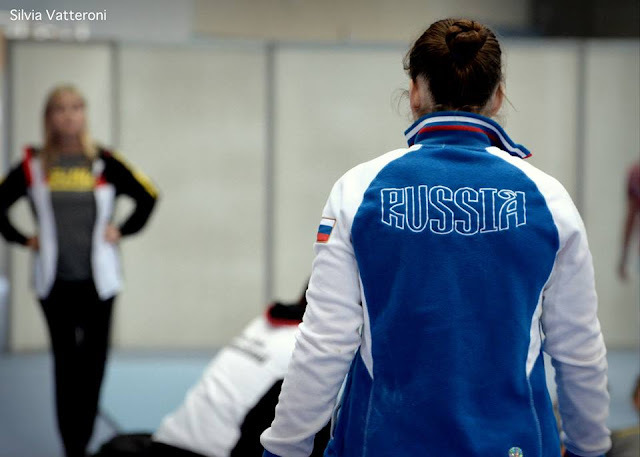 In a series of photo by graceclick.ca, it was shown that the Russians are training some difficult skills. Apparently, Seda Tutkhalyan did an Amanar on vault but sat it down, while Viktoria Komova and Aliya Mustafina trained F rated double layout, a skill they both have never competed it before. Komova performed all her skills on balance beam from London except for the dismount. She did a double back tuck (D) instead of double arabian (G). On floor, she was shown training her opening tumbling pass from London, a 1.5 twisting layout (C) to double arabian (E). Her twisting form is not so impressive. Mustafina seems to be aiming to include a Semenova turn in her floor routine. She also re included her triple twist, apparently she has not yet improved her twisting form. It looks like Tutkhalyan will compete two vaults, the second being a round off half on half off. aly126 DLOs for Vika and Aliya !!! dariaskrypnik why are people so excited over horribly executed DLOs that will likely lead to injury for both vika and aliya lol???? Ok, there’s nothing I would want more in this world than to see Aliya and Vika executin F tumbling passes well. However we are not just assuming the DLOs are not great. We have a picture of Aliya landing extremely low and an other one of Vika (who btw hasn’t competed anything harder than a double pike for 3 years) being spotted, which is not usually the case for Russians in podium training. I don’t think it’s unreasonable to be worried, especially since we are talking about two athletes who have struggled so much with injuries. -Seda will be throwing the Amanar. I thought they would wait until Glasgow, at least. Let’s see (and pray). -WHY ALIYA IS DOING A TRIPLE AND NOT AN ARABIAN JESUS CHRIST. How could Starkin allow that? And why no double arabian, which was her nicest pass? Sports and politics should never mix. International competitions have provided opportunities for greater understanding among cultures and nations. Sadly a lot of political situations have deeply affected the biggest events in sports. The latest speculation suggests that Seda Tutkhalyan who is from Armenian descent was not considered for the selection of the Russian European Games team which will be held in Baku, Azerbaijan due to safety concerns. A conflict between Azerbaijan and Armenia has been ongoing for over a century. The two countries have been fighting over Nagorno-Karabakh, a landlocked region in southwestern Azerbaijani. Although 95 percent of Nagorno-Karabakh is ethnically Armenian, it is internationally recognized as being part of Azerbaijan. The region was given to Azerbaijan by then Soviet Union leader Joseph Stalin back in 1923. Since the dissolution of Soviet Union and the independence of Azerbaijan, the conflict over the secessionist territory re-erupted more fiercely. It officially ended with a ceasefire in 1993, following a six-year war, but recently flared up again. Since August of last year, dozens of troops from both sides have been killed. The violent conflict between ethnic Armenians and ethnic Azerbaijanis, resulted in claims of ethnic cleansing by both countries. Armenia was hesitant about their participation in Baku, however the country announced that they will send their athletes to the games last month. "There's no need for our athletes to go to Baku," Levon Julfalakyan, the country's Greek-Roman wrestling team squad head coach said. "Armenia has a difficult relationship with Azerbaijan and the trip to Baku could become a pretty risky affair." The Azerbaijani government has promised to provide heavy security for the Armenian delegation. Tutkhalyan rose to fame when she won the Olympic youth all around gold last year. Olympic champion Aliya Mustafina, European beam champion Maria Kharekova and Alla Sosnitskaya have been provincially selected to the Russian games team. The first edition of the European Games will be held in Baku, Azerbaijan, from 12 to 28 June 2015. A news article, published on sports.qq and written by Che Li who frequently reports on the Chinese Gymnastics team, informed us about the latest winter training updates. It mentioned that after five months of hard training, almost every gymnast has been able to live up to their plan which has coach Huang very pleased. "Our six female gymnasts are now capable of doing double twisting double back tuck (editor comment: on floor & uneven bars) which is unprecedented" said Huang. He also said that one of his gymnasts is training a double and a half twisting Tsukahara which is the second most difficult vault, worth a 6.7 D score. The article as well mentioned that they are training two F rated skills on balance beam. The news, which was first reported by wordsfromthedragon, was received with skepticism by the gym internet. I must be the only one who has not been happy about this :p I just wish they would gradually increase their D AND E-scores, instead of throwing hard skills and breaking the girls. There’s plenty of cleaning up still to do, and you know actually HITTING the routines. Let’s just say that I’m not a fan of Huang Yubin. "6 Girls can do double doubles" LOL LOL LOL LOL LOL OK coach Huang! they can hardly put full ins to their feet without landing on their knees…. I’d like to see them land their double tucks, double pikes, and full ins up right before they try anything more difficult. Those seem to be hard enough for some of them. China did worse than Russia on floor at Worlds (and we complain about how weak Russia is on floor now), so that should tells you something. In an interview with sports.cntv.cn translated by 16-233, Coach Huang hinted that they might pull out one of their two gymnasts who qualified to the balance beam final and give the spot to another gymnast on their team. The Chinese coach said that “out of consideration for a chance at individual gold” they will consider switching out someone for beam final, and that “personal interests should be subordinate to the national interest”. Yao Jinnan and Bai Yawen qualified to the balance beam final in third and fourth place respectively. Considering the fact that Yao Jinnan has more experience, Bai might be the gymnast Huang meant. It is worth to mention that Bai did not perform on any event in the team final competition where they finished in second place more than six points behind USA. Shang Chunsong and Huang Huidan placed 5th and 9th respectively on balance beam in the qualification. The first was denied a chance to compete in the final due to two per country rule. Nevertheless, the Chinese coaches can choose either Huidan or Chunsong to replace Bai. Chunsong had the third highest score (15.066) on balance beam in team final. At Last year’s Worlds, she finished in sixth place in beam final. Chunsong will compete tomorrow in the all around final along with her teammate Yao Jinnan. 2008 Olympian Ekaterina Kramarenko who replaced injured Viktoria Komova on the Russian squad for the upcoming European championship, has been reported ill.
Natalia Kalugina, a Russian journalist, who was at Round Lake at the opening training this week, has wrote on her Facebook that 2013 World finalist Anna Rodionova has been promoted from an alternate to a member of the Euro team, replacing Kramarenko. She added that Anna has a beam routine of a 6.4 difficulty. She expressed her amazement with Rodionova’s beauty on the apparatus and also her concerns regarding Rodionova’s ankle which she has been going through some problems with. Aliya Mustafina, the most reliable gymnast on the team, is going to only compete on two events, balance beam and uneven bars, due to small pain in her ankle. A few days ago, Aliya posted a photo of herself in hospital gown, raising questions about her health. Clearing up rumors, she said “Everything is ok, I just checked my back and ankle”. It is worth to mention that the 19 year old gymnast has always been known for not giving her best but in the most important competitions. Last year, she had a meltdown at the Worlds qualifications but went on to win three medals including a gold on her weakest event in the finals. 17 year old Alla Sosnitskaya will be the only Russian to compete two vaults hence will be aiming on qualifying to the vault final. Last year, Sosnitskaya announced via sprashivai.ru (a Russian Q&A website) that she is training a two and half twisting Yurchenko, also known as Amanar (D score 6.3) on vault. New seniors Maria Kharenkova and Daria Spiridonova will join Alla Sosnitskaya on floor, according to Kalugina they will all end their routines with a double back tuck. The 30th European championships will be held in Sofia, Bulgaria from 12-18 May. After long time no hear, we finally get to know the outcome of the Chinese national team’s winter training. Shang Chunsong who originated the piked hindroff bar release last year, won’t stop on having only one skill in her résumé. The Chinese gymnast is rumored to have a quad twisting layout included in her floor routine. A few days ago, a video emerged on youtube of Shang performing a 3.5 twisting layout on floor. If Shang successfully competed the quad twist at the next World championships, the skill will bear her name in the CoP. Last year, Japan’s Kenzo Shirai became the first athlete to perform a quadruple twist at a major event. Shang made her major international debut at 2013 World championships in Antwerp where she qualified to the all around and balance beam final. But that’s not it, Tan Jiaxin who is considered to be the best Chinese vault in the 2013-2016 quad, is reported to have an Amanar vault, while Wang Yan has upgraded her beam dismount to a triple full. London Olympian and three time World medalist Yao Jinnan will no longer be an all arounder and will only compete as an event specialist, based on rumors. Jinnan whose best event is the uneven bars, is training a full twisting double layout dismount. Last but not least, Deng Yalan is training the second most difficult vault in women’s gymnastics 2.5 twisting Tsukahara into a pit, yes more difficult than Cheng and Amanar, Its D-score is 6.7. At last year’s World championships, the female Chinese team left the competition with only one medal.